Well, this almost got extremely real. 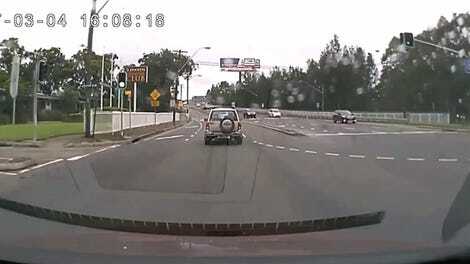 Watch the video shot in Perth last year and you’ll understand why this driver was given “some hefty demerit points for running a red light and failing to keep a safe distance behind a vehicle,” according to Australia’s 9 News at the time. Leaving sufficient room for the car in front of you is something that every driver needs to do, but it’s something that you can see especially clearly when it comes to slow-to-react trucks.